From Moheda clogs and Carmen Saiz espadrilles, to Birkenstock and Superga - say hello to our brand new collection of footwear brands. Renowned for its beautiful clogs since 1860, Swedish clogmaker Moheda is a family-run business spanning five generations. Located in the small village Moheda in the province of Smaland, south of Sweden, the team of clog makers still make all of their designs by hand – including the traditional carved wooden sole – meaning that no two pairs are exactly the same. 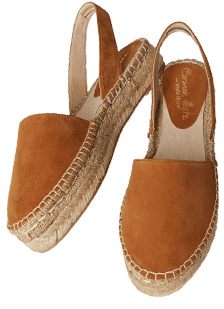 Established 30 years ago, Spanish espadrille brand Carmen Saiz incorporates Italian design and style into every pair it creates. Famous for its collection of wedges and flats, we've worked with the design team to create an exclusive collection that you won't find anywhere else. They're perfect for sunny shores and navigating romantic cobbled streets. 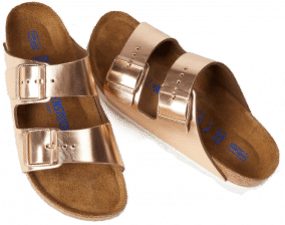 Established in 1774 in Germany, Birkenstocks have enjoyed over 200 years as a summer staple. 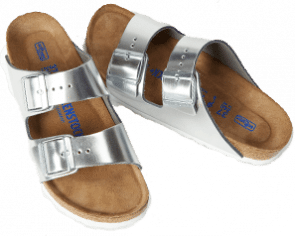 Starting life as a shoe manufacturer, Birkenstock became synonymous with its unique sole, which they designed to recreate the dynamics of natural walking. Not ones to ignore a classic when we see one, we've added its key collection to our new summer footwear range to make packing for that summer holiday just that bit easier. Over 100 years old, Superga was founded by Walter Martiny in Turin, Italy. The iconic 2750 trainer became established as the people's shoe of Italy and Superga’s line of this classic comes in many styles and colours. The 2750 trainer has inspired flatforms and mid top styles and is often used in collaboration with top names for limited edition collections such as Liberty of London.